Summary: On the morning of April 12th, the Shandong Provincial Economic and Information Commission and the Shandong Provincial Industrial Internet Industry Alliance and the China Institute of Information and Communications visited Jining and conducted research on the development of the citys industrial Internet and held discussions and exchanges. Investigator Zhang Yi of Information Promotion Department of Shandong Economic and Information Commission, Liu Zhaoyuan and Liu Changqing of Industrial Internet Industry Alliance of Shandong Province, Dr. Yang Nan, Yuan Lin, Research Scientist of China Institute of Information and Communications, Wang Youbing, Researcher of Jining City Economic and Information Commission, Information of Municipal Commission of Economics and Heritage Wang Liang, deputy section chief of the Promotion Division, attended the symposium. China Transport, as a pilot enterprise of Shandong Province's integration management system, and Jining City's "6501" demonstration and cultivation key enterprise, were invited to the conference. China Transport Executive Deputy General Manager Li Zhenbo attend the conference. 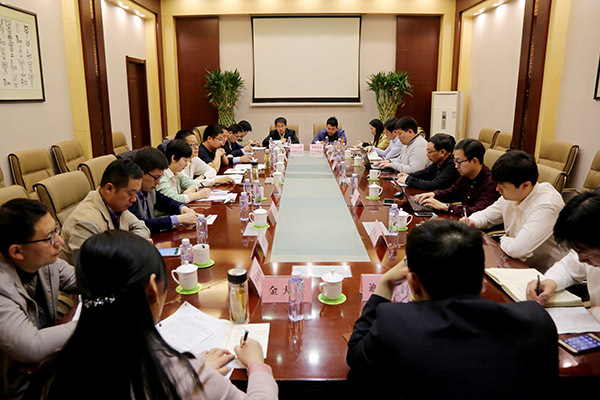 On the morning of April 12th, the Shandong Provincial Economic and Information Commission and the Shandong Provincial Industrial Internet Industry Alliance and the China Institute of Information and Communications visited Jining and conducted research on the development of the citys industrial Internet and held discussions and exchanges. Investigator Zhang Yi of Information Promotion Department of Shandong Economic and Information Commission, Liu Zhaoyuan and Liu Changqing of Industrial Internet Industry Alliance of Shandong Province, Dr. Yang Nan, Yuan Lin, Research Scientist of China Institute of Information and Communications, Wang Youbing, Researcher of Jining City Economic and Information Commission, Information of Municipal Commission of Economics and Heritage Wang Liang, deputy section chief of the Promotion Division, attended the symposium. 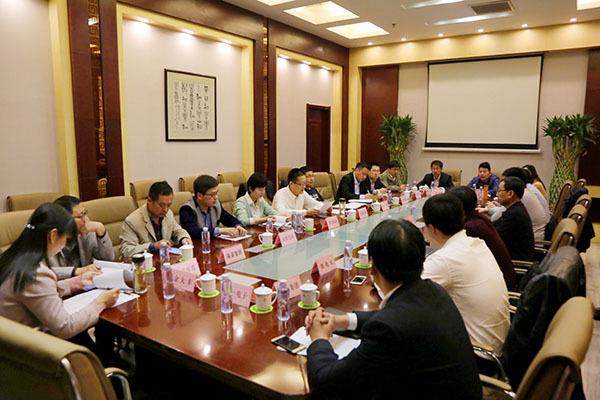 China Transport, as a pilot enterprise of Shandong Province's integration management system, and Jining City's "6501" demonstration and cultivation key enterprise, were invited to the conference. China Transport Executive Deputy General Manager Li Zhenbo attend the conference. 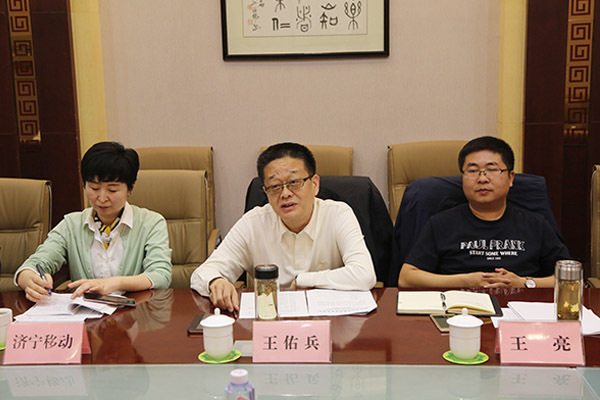 At the meeting, the researcher of the Informationization Promotion Department of the Economic Commission of Shandong Province pointed out that deepening the “Internet + advanced manufacturing industry” is an important measure for implementing the spirit of the Nineteenth National Congress. The State Council and the Ministry of Industry and Information Technology attach great importance to each. Enterprises should focus on the “323” action of the industrial Internet, unify their understanding, unify their goals, and act in a unified manner. They should actively play the advantages of national backbone enterprises and spur the charge of entering the industrial Internet. It is hoped that enterprises will take advantage of their subjective initiative, seize the great opportunity for the development of the industrial Internet, accelerate the deployment of the industrial Internet, and conduct innovative application demonstrations to better promote the deep integration of internet big data, artificial intelligence and the real economy, accelerate the conversion of new and old kinetic energy, and boost the industry. Upgrade. 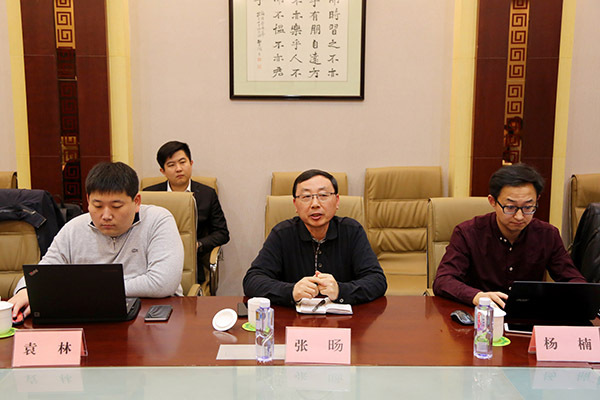 Afterwards, Director Wang of Jining City Commission of Letters and Credits introduced the development of industrial Internet in the city, and put forward opinions and suggestions on the next step of development of major enterprises. 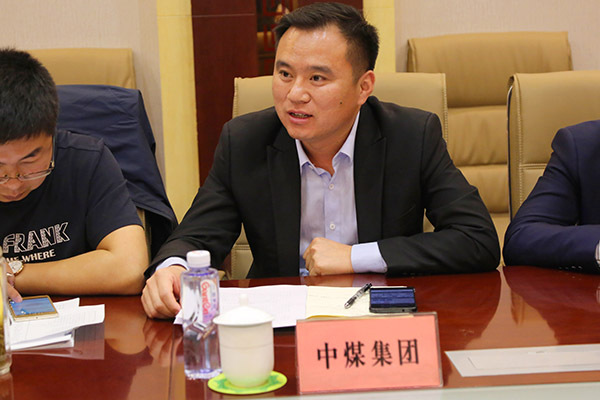 Director Wang expressed that he will build a good platform for the promotion of future work and policy support, establish a good mechanism, formulate a good plan, design a good path, guide, promote, and serve the industrial Internet companies, and hope that relevant enterprises in the city can independently innovate. Development, leading industry development, initiative development, and taking advantage of new developments in industrial development, adding new impetus to strong industries. The symposium was very lively and the speech was enthusiastic. The persons in charge of the participating companies gave a brief introduction to the understanding of the country’s development of the industrial Internet and the development of the enterprise in the field of industrial Internet, and put forward constructive suggestions on how to promote the development of industrial Internet in our city and promote the development of the industrial city. , and made in-depth discussions and exchanges with leaders and experts on issues that they are facing urgently needed to solve. During the conference, the development achievements of our group in the integration of manufacturing and the Internet, big data, and cloud computing were highly recognized by leaders and colleagues in the industry. In recent years, China Coal actively promoted the integration and development of corporate manufacturing and the Internet, vigorously developed the industrial supply chain e-commerce, and successfully transformed from a traditional sales model to a modern e-commerce sales model, becoming a national success through the e-commerce information industry to boost traditional businesses. The industry model of transformation. In terms of the creation of an industrial internet platform, China Coal independently developed and operated the first cross-border B2B e-commerce platform in China's industrial and mining machinery industry—YiMin.com, which created a gap in the domestic and international e-commerce platform for industrial and mining industry. In 2013, it was selected by the Ministry of Industry and Information Technology. The Pioneering E-commerce Integration Innovation Pilot Project was listed as a key cross-border e-commerce support project by the Ministry of Industry and Information Technology, which has made outstanding contributions to promoting the transformation and development of traditional machine manufacturing enterprises to the “Internet + Manufacturing” model. Mr. Li said that the Industrial Internet is spurring the convergence of information technology and manufacturing technology, and driving the intelligent development of manufacturing. As the benchmarking enterprise of the province's industrial Internet development, China Transport has taken the lead in the province in the use of big data, cloud computing to accelerate the transformation of new and old kinetic energy, and promote the transformation and upgrading of enterprises. Next, we will closely integrate our own development. Actually, accelerating the pace of the transformation of old and new kinetic energy, promoting scientific and technological innovation with greater intensity, accelerating industrial transformation and upgrading, and making more contribution to the development of the province's industrial Internet!